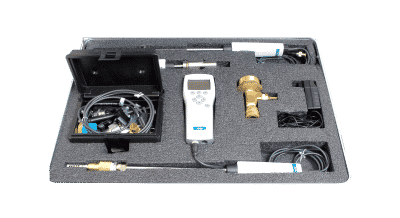 Partial discharge (PD) detection and dissolved gas analysis (DGA) are two valuable techniques you can use to assess asset condition. Doble offers a complete range of PD and oil analysis tools that can be used while equipment remains in service. This non-invasive testing allows you to find early indications of deterioration giving you time to plan a course of action for further testing, maintenance or eventual replacement. These tools are a cost-effective addition to a proactive condition-based maintenance program.